Miracle decides that this is the day of peace... no cares, no concerns, no burdens, no anxiety, no pain, no fear of the future, and no past regrets. Today she will rest. And when she closes her eyes, she sinks into a deep stillness... quiet and unafraid. So, lets all rest together today... in love. 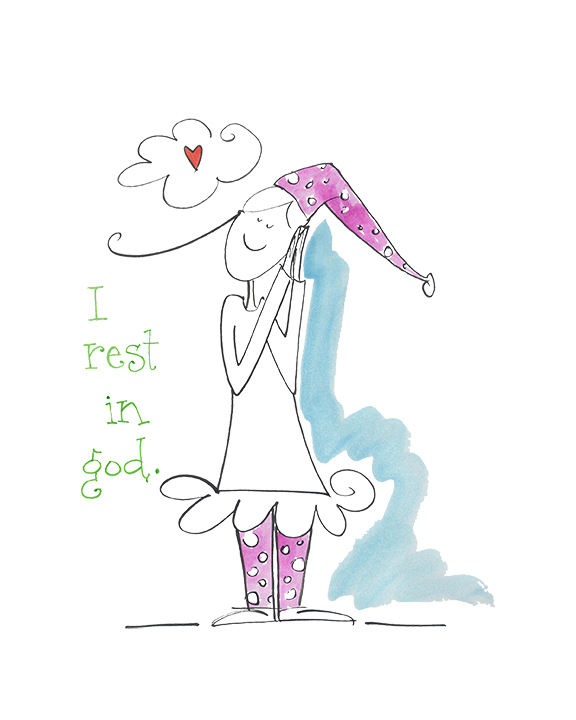 When I was working on today's sketch, I thought of the comfort my pajamas and bedtime brings! Each night I have my nightly routine to wind down from the day and prepare to rest. I thought this visual would be an excellent reminder to myself, that I can rest my mind all throughout the day and be at peace. I can spend each day in perfect slumber. Posted in DailySketch on April 30, 2014 by bestschott. 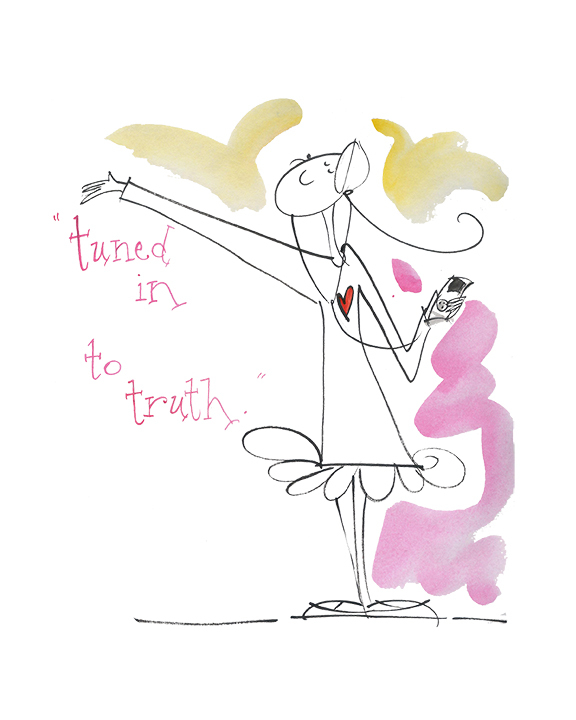 Miracle is enjoying being tuned in to truth... and that's a happy note! 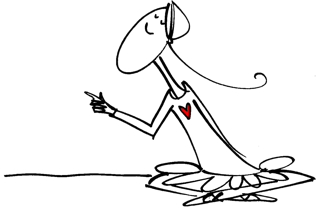 She's found a steady stream of no fear, no doubt... and is relaxed in a state of quiet and peace. Miracle is quick to say "No interruptions please!" For today's sketch it came to me when I am listening to music on my headset... the tunes seem to out-shout the thoughts in my mind. It provides me a welcome break... I can relax and sing along! Here, I wanted Miracle to model the joy that feeling peace, so deep and tranquil, can bring. Posted in DailySketch on April 29, 2014 by bestschott.